Do you often find yourself eating even when you are not hungry? Are you plagued by guilt or shame as a result of your eating habits? Do you tend to eat in private or avoid eating in front of other people?. We all have food cravings from time to time however, if you find yourself consumed by thoughts of food and eating, you may suffer from a food addiction. A recent study has found nearly two thirds of Australians to be overweight or obese. Although food addiction is not the only cause of obesity, it undoubtedly plays a contributing role in this startling statistic. Those struggling with food addiction face unique challenges – the prevalence of food related advertising in society and the countless social events centered around eating make reminders of food impossible to escape. Further, since we must eat to live, abstinence from food is not an option. Fortunately, there is hope. The Cabin’s effective and innovative treatment programme can help you develop a healthy relationship with food and gain freedom from your food addiction. Food addiction is characterized by a compulsive desire to consume food. This desire persists in the face of the negative consequences, such as obesity and other health concerns. It is important to note, however, that not all of those who suffer from food addiction are overweight, as many sufferers engage in compensatory behaviours such as purging (bulimia), fasting or over-exercise. 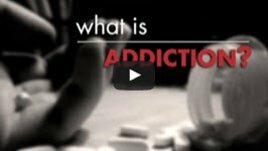 In contrast to substance addiction, which involves an addiction to a specific substance, such as drugs or alcohol, food addiction is an addiction to a behaviour – or the process of eating. For this reason, food addiction is considered a process addiction. Like substance addiction, process addictions involve a malfunction in the reward circuitry of the brain. ‘Junk’ foods are especially problematic for individuals who suffer from food addiction. The high quantities of fat, sugar and salt in these foods act on the pleasure centres of the brain by producing a dopamine response similar to that caused by alcohol or drugs. 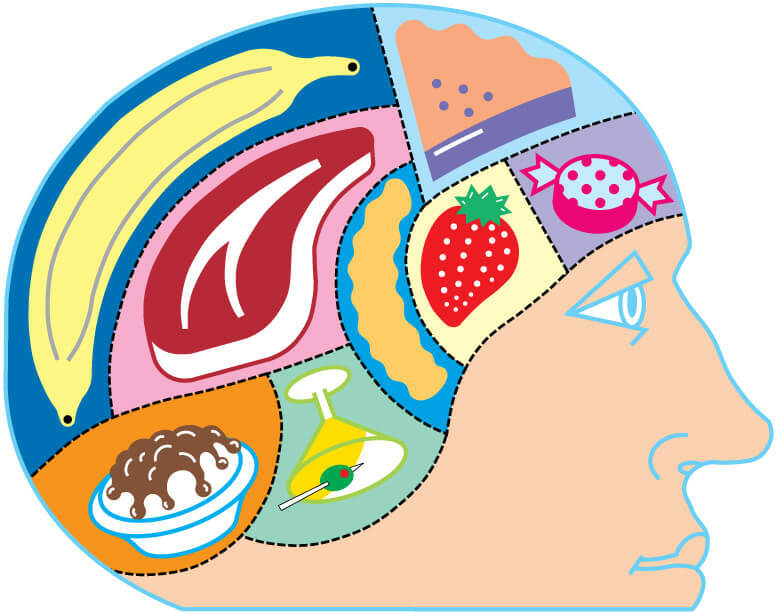 An individual will continue to eat, despite not being hungry, in order to prolong the feeling of pleasure that results from dopamine flooding the brain. As with substance addiction, food addiction can negatively impact several aspects of your life and may pose harmful physical, social and emotional consequences. Despite the complex nature of food addiction, recovery is possible. Treatment for food addiction can be provided in either outpatient or inpatient settings. With treatment in an outpatient setting, people are able to maintain their daily schedule – they learn to manage their addiction while keeping up their normal routine. This type of treatment is ideally suited to individuals for whom taking leave from work or other personal obligations is not an option. Outpatient treatment is most effective for ‘high functioning addicts’— those who are capable of managing their addiction while remaining in their normal environment. This form of treatment allows people to immediately apply the skills they learn in treatment to their daily lives. Inpatient treatment is provided at a residential rehab facility. This treatment option is best for those whose normal environment poses too many obstacles to recovery. Inpatient clients have access to round-the-clock care as they are housed and treated simultaneously. 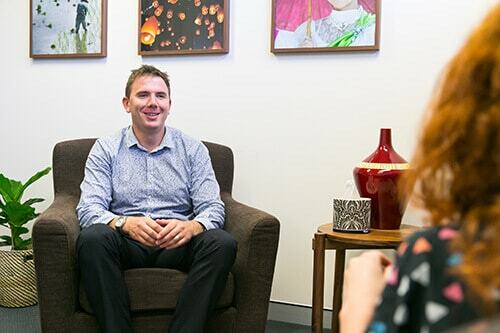 The Cabin Sydney’s outpatient programme offers effective, confidential treatment for bulimia, over-eating, and other forms of food addiction. Our holistic Recovery Zones method, which boasts an impressive 96% completion rate, is designed to treat process addictions for which complete abstinence is not an option. Each client at The Cabin Sydney receives a treatment plan specifically tailored to their individual needs. Our certified and highly trained clinical professionals employ the use of cognitive behavioural therapy (CBT), the 12 Steps and mindfulness techniques to teach the coping skills necessary to maintain a healthy lifestyle free from food addiction. At The Cabin, we take every possible precaution to ensure that your personal information is kept secure during and after treatment. Your confidentiality is important to us! 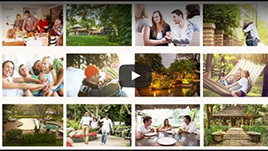 Those attending The Cabin Sydney gain fast-tracked access to our inpatient programme at The Cabin Chiang Mai. This programme allows clients to completely immerse themselves in the recovery process in a carefully controlled environment with access to 24 hour support. Our on-site nutritionist provides training in shopping for and preparing healthy, satisfying meals which provide the nutrition the body needs, while avoiding unhealthy addictive ingredients. Contact us today about food addiction treatment to have a no obligation assessment and see how we can help you. Fill out the short form on the top right of this page, or call us directly on +61 2 9326 2867, to start your journey to recovery now.